The whole offensive line did a good job, Colt Walker said two months earlier after Bayfields 28-3 Mountain League victory over Buena Vista. Walker, the quarterback in the Wolverines trademark triple-option offense, rushed for 197 yards in that key conference game. Now he and his O-line will host Eaton at 1 p.m. today in a Class 2A state quarterfinal. Our line was just doing a good job getting to the blocks, Aaron Velasquez said last weekend after the Wolverines beat Strasburg 27-21 in the first round of the CHSAA Class 2A Boys Football State Championships. Bayfield High Schools two 1,000-yard rushers have been as consistent on the field as theyve been in their postgame interviews this season. Without fail, Aaron Velasquez (1,349 yards) and Colt Walker (1,063 yards) directly pointed to the offensive line after they posted big numbers in Bayfields 10 consecutive victories without a loss this season. 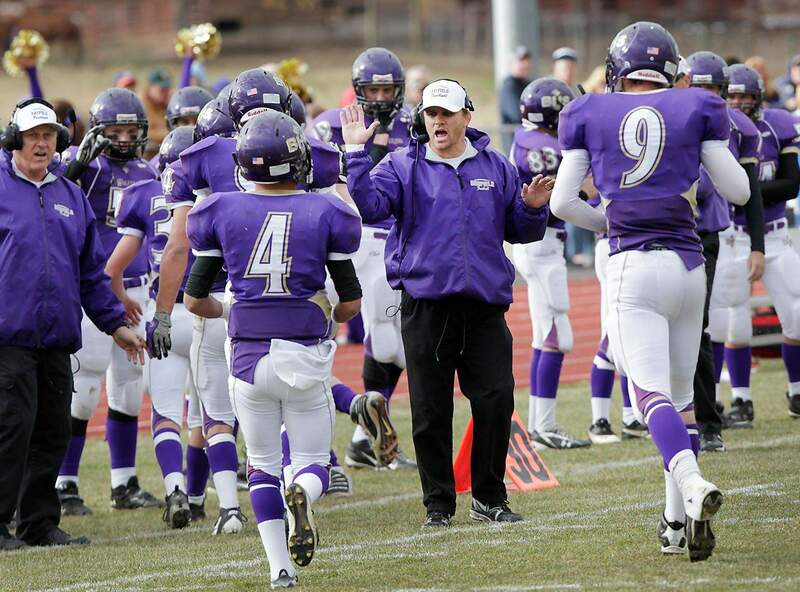 Our line was just doing a good job getting to the blocks, Velasquez said in a postgame interview with The Durango Herald last weekend after the Wolverines beat Strasburg 27-21 in the first round of the CHSAA Class 2A Boys Football State Championships. Velasquez rushed for 227 yards in the playoff win. The whole offensive line did a good job, Walker said two months earlier after Bayfields 28-3 Mountain League victory over Buena Vista. Walker, the quarterback in Bayfields trademark triple-option offense, rushed for 197 yards in that key conference game. Hahn said the praise for the offensive line from his two senior leaders is a key factor in Bayfields perfect 10-0 season and a second-round playoff game at 1 p.m. today against powerhouse Eaton (9-2) at Wolverine Country Stadium in Bayfield. I couldnt ask for a better group of five kids to do what were trying to do, Hahn said this week. The Wolverines five interior offensive linemen, who are in their second full season together as starters, provide the framework for the unique triple option. They are all very intelligent. They understand that without an offensive line, your football team cant move, Hahn said. They take pride in their blocking ... 1,000-yard rushers year after year, Hahn said of the veteran linemen, who are led by all-conference senior captain Austin Riley (6-1, 180 pounds). 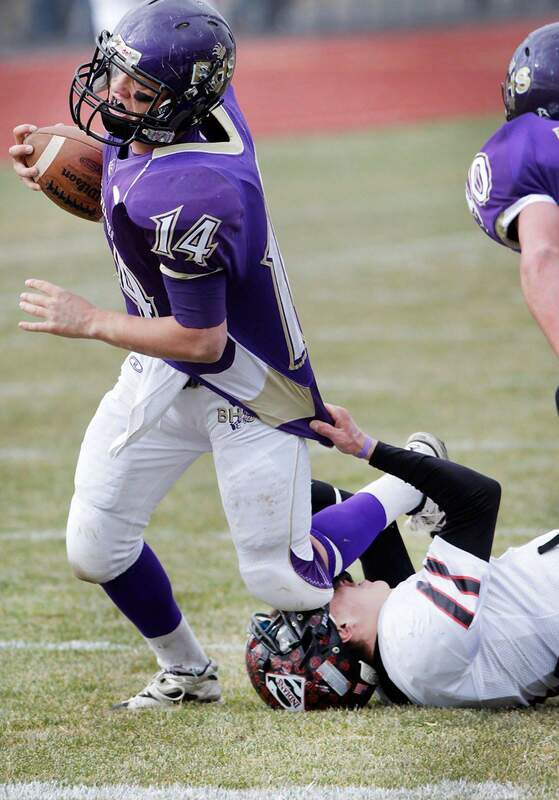 The Bayfield center is flanked on the left side by guard Jon Roberts (6-2, 170) and tackle Kevin Donahue (6-1, 195). Both are juniors. On the right, Riley is flanked by Nate Goddard (6-1, 175) and Austin McMenimen (6-1, 180). Both are juniors. Riley is much more than just a center who doubles on the defensive line, according to Hahn. Hahn said during the preseason, Riley ran the fourth fastest 40-yard dash on the team. He could be a tailback or a tight end, but hes our center, Hahn said. Executing their timing-based option-read offense requires concentration and attention to detail in their preparation, said the Bayfield coach who led the Wolverines to their last state football title as a triple-option quarterback in 1996. Ive said before, its hard to teach linemen not to block someone, Hahn said. But often a BHS lineman will release his initial block and move onto the second tier of the defense. 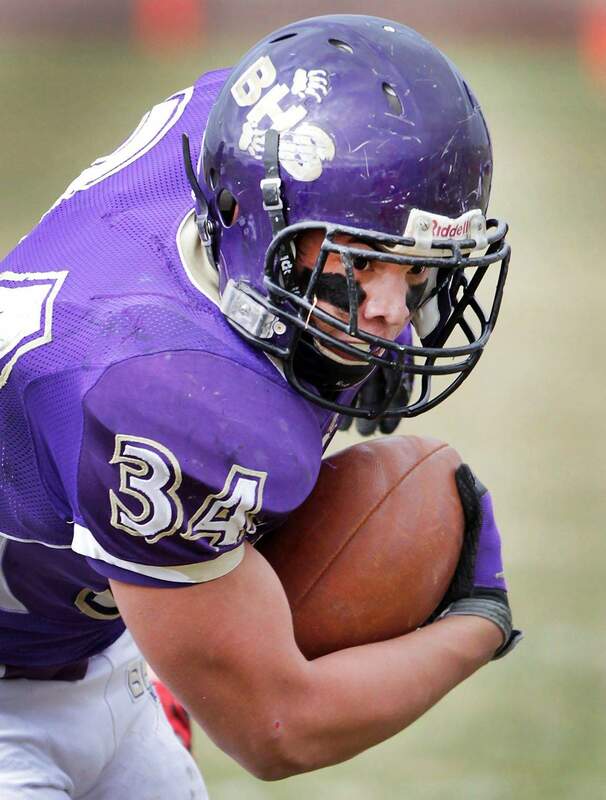 The read of the triple option accounts for the first defender, with the Bayfield offensive linemen, such as Riley, ready to block the second wave of defenders. They are a bunch of hard-working kids. And thats a testament to the kids we have ... to the kind of hard-working parents they have, Hahn said. And its contagious. You see that ... and you want to work a little harder, he said. Hahn said the Wolverines will have their work cut out today when they take on another power team from the power conference  the Patriot League. Theyre a good football team. They are big; they are physical, Hahn said of the Eaton Reds, who overpowered Aspen 48-20 in last weekends playoff opener. Obviously, to put together the kind of year they have ... theyre a team that doesnt make mistakes, Hahn said of the two-loss Reds. Eatons first loss came in the season opener to Class 3A Windsor 7-6. Windsor (10-1) is in the second round of the 3A playoffs with a game against Rifle today. Eatons other loss came in a Patriot League showdown against Brush, the No. 1-ranked team in the state. In an unusually high-scoring game, Brush won 42-41 in overtime Oct. 14. Otherwise, the Eaton defense allowed fewer than seven points a game. Halfback Austin Ekeler, who has scored 21 touchdowns this year, has gained 937 yards on 100 carries. He broke a 76-yard touchdown run on Eatons first play from scrimmage against Aspen last weekend. Lincoln Korell also has 10 touchdowns for the Reds. Hes totaled 665 yards rushing. And they have a big, big tight end. They like to get the ball to him, Hahn said of Darin Foss, Eatons 6-5, 246-pound college prospect. Hes made a team-leading 29 catches this season (four touchdowns). Ryan McIntyre (6-0, 190) and Trent Sieg (6-5, 226) lead the stingy Eaton defense. Sieg, with 71 tackles, has a team-leading nine sacks for the Reds. The Eaton offense scored 41 or more points eight times this season, including a 61-0 shutout of Highland and a 44-0 win over Greeley University. In other Class 2A quarterfinals today, No.1 Brush (11-0) will host defending state champion No. 8 Olathe (8-3), No. 3 Kent Denver (10-1) will host No. 6 Faith Christian (9-2), and No. 2 Florence (10-1) will play at No. 10 Bennett (9-2). The No. 4 Bayfield vs. No. 5 Eaton winner will face the winner of Brush-Olathe in the state semifinals Nov. 26. One year ago, Olathe beat Brush 14-13 in the Class 2A state championship game.